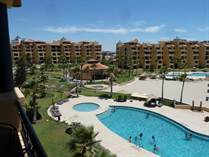 Princesa condos Rocky Point Mexico are by far one of the best opportunities in Rocky Point Mexico. Located on the beautiful Sandy Beach resort area Princesa gives you the feeling you are on the beach in Mexico. Princesa is unique with it's large common area with mutiple pools giving owners and renters the room to truly enjoy their vacation on the beach in Rocky Point Mexico. "Best Priced Unit in Resort"
Whether you are planning to buy or sell your first home, condo or lot in Rocky Point Mexico contact us today!